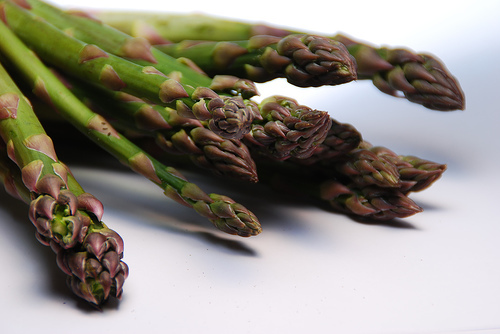 Formby Asparagus (also the name of the variety) is white at the base and green through the stem with a purple tinged tip. New asparagus crowns are grown from seed which is saved from the old plant. After the first year, the crowns are transplanted into a 20cm deep trench and a ridge 8cm high is piled up around them. The first cutting can be taken in the third year. While tractors are now used to manage the land, the crop is hand cut. Formby, near Liverpool, was once nationally famous for the quality of its award-winning asparagus grown on the fine, sandy soil of the local dunes. During the six-week season (May – mid June), it was supplied regularly to large ocean liners on the area’s transatlantic crossings. Until the mid 19th century, this coastal area received considerable supplies of fertiliser in the form of ‘night-soil’ from Liverpool (a sewer system had not yet been completed). This enabled farmers to improve and bring into cultivation the previously uncultivated rear-dune area. This is important as once the asparagus crowns have reached the end of their productive life (10-15 years) the ground is exhausted. At the height of production some 200 acres were under cultivation. Only a small proportion of land is used to produce Formby Asparagus by traditional methods and, due to the short season, supplies are limited. The Formby Civic society and the National Trust (who own Formby Point) are involved in schemes to protect this traditional product as only a couple of producers exist.